Wasn't there a report during the last Aero India, that Karnataka government has stated it cannot manage Aero India in the city? I thought i read it somewhere. I was expecting it to be moved to Goa. Guess like Defence Expo, this will also be moving to different cities in coming years. Too bad to hear about AI planning to move out of Bangalore. Bangalore was considered the Aerospace Capital of India. Why Lucknow? Kinda odd choice...good for folks in that part of India (& for locals). If the move of venue happens then I guess, I will be not be attending AI 2019 at least. Will depend on good defence journos along with Vishal & other BRF members for photos & scoops. There was an attempt to move it to Goa last time when Parrikar was the RM, didn't happen, but he was successful in moving only the DefExpo. 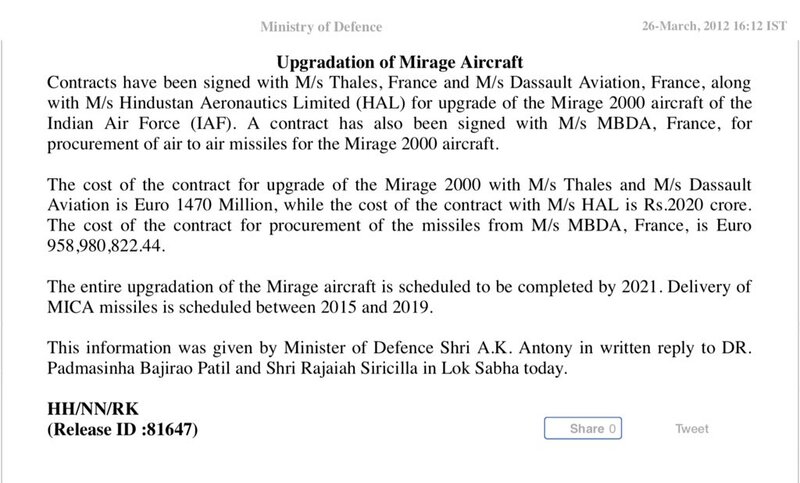 Now with a new RM they are splitting the pie between UP and TN: DefExpo moves to TN from Delhi, now AeroIndia moves to Lucknow; the two defence corridors are in UP and TN. I see the news of AMCA being assembled in TN in the same vain. Strangely, the reality is almost the opposite with an aircraft starting life in the wind tunnel, despite aerodynamics being the most predictable facet of modern aircraft development. 2. At least two of the following components must be already available off-the-shelf: sensors/engines/airframe (note that former two can be replaced in upgrades). 3. Invest a large amount in a short development time. However terrifying this figure may be, it is guaranteed to be less than the 25 years it currently takes a frontline aircraft to go from concept to operational service. 10 years is not unreasonable. Do not let the requirement be altered during development. 4. Three simple metrics should dominate the design process: power-to-weight/reliability/range, however wonderful the weapons systems promise to be they will benefit from these inherent advantages. 5. Plan who will pay for upgrades in the future. 6. Small factories (of the lowest possible tech) close to all component assemblies (to make this work it must be made clear that the cost savings outweigh the political advantages of multi-state collaboration). 7. The A variant will have insufficient fuel, electrical and processing power for upgrade, this is normal, but plan how it will be rectified in the B or C model. India’s AERO INDIA show will likely be held over three months early in October-November this year, instead of the expected February 2019. The most dramatic change, however, as reported earlier by Livefist, is that the show shifts out of its traditional home in Yelahanka in Bengaluru to the Bakshi Ka Talab air force base in Lucknow in the northern state of Uttar Pradesh. A decision to the effect is likely to be made today by the Indian Ministry of Defence, confirming speculation that has swirled for weeks. Why Lucknow of all places? It could have been Hindon, Kalaikunda, Ambala, Chenna, Goa, Mumbai or any number of places. Why and how was Lucknow chosen? UP defense corridor is coming up, may be in lieu of that. It will be interesting to see what kind of revenue AI will pull up due to change of location. Will they still charge INR 2500 (?) for business tickets? Businesses will still send reps to AI but I do expect a dip in attendance. Also, a lot of civilians working with HAL, CSIR, DRDO labs in BLR would attend on business days with passes...I think this was done way back to promote participation when the show was younger & not so well known. Most of the above crowd won't be flying to Lucknow now...anyways, I do hope that people in Lucknow enjoy AI & its treats. 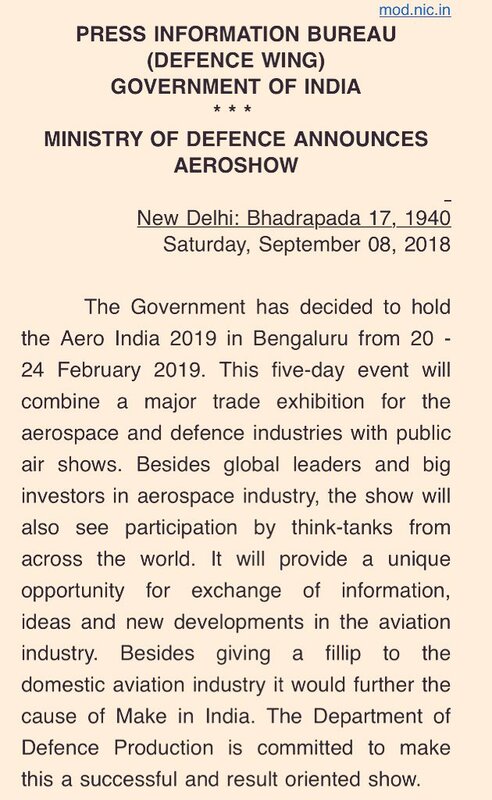 PR for the CM .Frankly this moving the Aero- India show will prove detrimental in the long run.It will never gain the same status as Paris, Farnborough, Singapore, Dubai and MAKS which are permanent venues. There must be a permanent venue and BLR is the best as it is the HQ of Indian aerospace and IT.The south is getting shafted becos a non- BJP govt. is in power in the state? It will take half a century to set up anything equivalent to the BLR aerospace industry which also has the ISRO HQ there than anywhere in the north. Rushing the show to October will also see fewer firang participation as OEMs require usually a year to plan ahead, get their own babu clearances, etc. Anyway I've other fish to fry in Oct. and won't be there for sure. The Defexpo should preferably be held at a port where visitors can visit warships as at Langkawi.The land warfare expo could be held at Delhi .Sadly the historic Pragati Maidan pavilions have been asininely demolished- I was there in '72 for the first Asia-72 Expo, and the naval expo at Goa, the most attractive venue which is full of hotels, etc. geared up for large numbers of visitors. Since the CVRDE is at Avadi,during alternative years the Land expo could be at Chennai.Chennai is unsuitable for a combined land/ naval expo because of the inability to visit warships. It would not have happened at Chennai if the DM wasn't from the same state. Venues should be permanent and selected based upon infrastructure, local defence industry and ease of access for visitors from abroad and within India. Paris and Farnborough alternate each year.Other than Aero- India, the land and naval expos could be held in similar fashion. Kashi wrote: Why Lucknow of all places? It could have been Hindon, Kalaikunda, Ambala, Chenna, Goa, Mumbai or any number of places. Why and how was Lucknow chosen? All of these other airport are active air bases with critical combat sqn. , where foreigners are not permitted. (mumbai airport not possible because that airports civil raffic cant be stopped for 10 hrs for 3 days). Bakshi ka talab per my memory does not base any combat squadron, thus can accept public events including temporary visits by foreigners. FYI the previous venue in Blore also does to not host combat sqns, thus ok for air show. I say a very absurd assertion. As an aside BLR logistic and organization is crap. Eqpt and people that need to be moved for airshow has NOTHING to do with distance it has to travel. Very illogical argument imho. It's a Q of investment and ROI. Yes India is not a rich country yet. As Shiv uvaacha: if my aunty had balls she would be my uncle. TN doesn't exactly have a BJP government, and it is further South than Bangalore, wasn't the DefExpo held there recently? I too am baffled by the seeming shifting of Aero India to Lucknow, but Philip's ranting is absolutely ridiculous. As bad as his constant pedalling of Roosi maal. Issue if that the AI doesn't seem to be moving to a better place. If it was, nobody would be up in arms. There's no place better than Bangalore for AI in my opinion. Why meddle with something that is not broke? Ideally we would have air shows across the country like the US does. And not just a once in two years show in the South. I think all this discussion about moving AI started because Karnataka Govt under the great Siddu had written to defense ministry saying the AI was a huge logistic nightmare and cannot be handled effectively. Though I do not agree with the supposed advancement of the dates. The date has to be brought forward, else everyone would be cooking in UP's heat in Feb.
nam wrote: The date has to be brought forward, else everyone would be cooking in UP's heat in Feb.
Not heat saar,but before the fog sets in. Found this on Battle Machines Facebook page posting. India has its own RC-135esque aircraft. These were ex-Air India aircraft converted by Israel for this role. They now have new built Global 5000s also modified by Israel. Reportedly they want another platform for the SIGINT role. kvraghav wrote: I think all this discussion about moving AI started because Karnataka Govt under the great Siddu had written to defense ministry saying the AI was a huge logistic nightmare and cannot be handled effectively. Is there any source for this? It sounds too stupid even for a nincompoop to do. Ranting...! Even the Karnataka BJP politicos are asking for it to remain at BLR.this shifting is all to do with the coming elections, not a logical decision in my opinion, and in such indecent haste, without enough time to prepare for it, it will be a big flop.Why brought forward to Oct?There is speculation that the 2019 elections may be brought forward by a couple of months and als hectic electioneering across the country at that time making it a big distraction.UP is the most critical state anx the promise of a defence corridor good for PR. However, as far as aerospace is concerned BLR is the clear capital of Indian aerospace.Only an ignoramus will deny this fact. There are so many supporting Ddefence labs and pvt. entities too apart from other DPSUs in the state and neighbouring states.Thete is not a snowflakes chance in hell that Lucknow will ever replace BLR.This is one huge mistake. to hold Aero- India here. A land / security defexpo could've been held in Lucknow as has been the case with such expos at Delhi. The same one which Pak has. Good to get our fingers on it. I have more gastronomical reason. Time for Aero India to Taste Lucknowi Kulfi, Chaat, Kebab after Bengaluru Idli, Dosa, Sambar. Jokes apart, the world needs to see that there is Aerospace Industry - Lucknow, Kanpur - in so called Backward Part of India and fire up an industrial revolution there. In addition, the whole campaign of 'North Indians' being tax bums and 'spoiling Bengaluru' didn't help either. Well, let Aero India act as Catalyst for Net New Industries in North India. Robbing Bangalore to pay Lucknow? Air Marshal BK Pandey (retd. ).Indian Express.
" It's a death knell for Aero India.A disaster in the making.When I heard about this shift my immediate question was , is there a new defence minister from UP being appointed?" "When Manohar Parikar was appointed he moved DefExpo to Goa.Then when Nirmala Sitharaman was appointed she took DefExpo to Tamil Nadu.This is a politically- driven exercise to prop up ( UP CM )Adityanath with the forthcoming elections in mind, and also to snub ( Karnataka CM) Kumaraswamy.But in all this you are damaging the national intetest.It should've been a professional not political decision." In 2017 more than 750 global and desi majors participated in AI.109 nations sent ministerial/ secretary level delegations.150, 000 business visitors and over 300, 000 general visitors attended.BLR's hospitality industry recorded over 500 cr. in revenue.Transport operators, eateries, etc. benefited, why there is so much heartburn about the shift.International exhibitors are also concerned as they plan months in advance. As I stated, to help Lucknow hold the Land Expo there, the Maritime Expo at Goa as it also has an excellent hospitality industry and the excellent Goa shipyard which is building a lot of warships and other vessels for the IN and CG.Aero-India has carved a name for itself at BLR for over 2 decades and is the largest show in Asia.Moving it to Lucknow reminds me of a character in our history, one MBTq, who shifted the capital from Delhi! i am sure a state capital has enough resources to host 5000 delegates for 5 days. the 300,000 general visitors most of them are unpaid passes obtained by drdo / hal staff who crowd the whole venue esp on last day(airshows). let the public of other cities also enjoy the airshow. our event is not big on business deals , business deals are done in delhi. 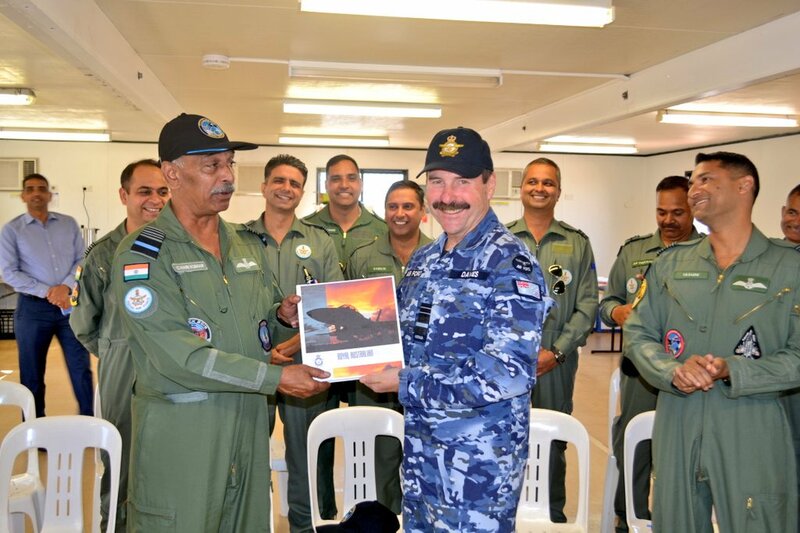 Aerko-India is NOT a revolving tamasha for the public to enjoy.Any circus can do the trivk.This is a serious professional exposition where both Indian and foreign majors display their wares to an international marketplace. It is primarily meant for business visitors and a forum to do aerospace business. The bulk of Indian aerospace is BLR based and moving both pavilions and representatives from the various BLR based labs, etc. is going to be a huge task.By the same tamasha argument, that other parts of the country must get their jollies too, then even the Republic Day celebrations should rotate from state capital to capital.Why should only Delhiwallahs, babudom and north Indians benefit each year.If the PM is of the opinion, then he could've given the Independence Day speech not from the Red Fort but from Golconda Fort, Mehrangarh or Amber fort , Gwalior Fort, Fort William Calcutta or Fort St.
George for example! I am sure that the Thackeray clan would be delighted if the PM gave his speech at Flora Fountain- in the Fort ,or Shivaji Park Mumbai! This would be truly democratic in the best spirit of our federal constitution. I agree with you that Republic day and other national events can be celebrated in various state capitals. Not an issue. But at the same time, there is no comparison between the two. Airshow is an event which can be done any place with facilities to do so. If the above is correct, then all the talk of shifting Aero India to Lucknow was just that...talk. venue.Will be there next year hopefully. So after all the rhona dhona about AI in UP, its where it always was. Can folks here now see through the media agenda to create a whole lot of gas about nothing?